This might be the biggest crisis Facebook has faced since its founding, and the company's initial response has not helped. The proposed departure of the company's data security chief, Alex Stamos, has spread anxiety through the company internationally, and it is being reported that this opened up already significant divisions within the company about just how transparent it should be. 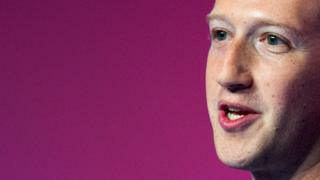 The leadership question goes higher, however, to Mark Zuckerberg. When it was first suggested that Russia may have used the platform to interfere in the 2016 election, Zuckerberg initially described that as a "pretty crazy idea". Months later he recanted, and announced a raft of measures to address the viral spread of disinformation. This time, following the dogged and undercover reporting of Channel 4 News, The Observer and The New York Times, Facebook has responded with the bold assertion that tens of millions of people having their data scraped and passed on to a third party does not constitute a data breach. Both Facebook and Cambridge Analytica deny any wrongdoing or breaking the law. And therein lies the rub. If this indeed isn't a data breach; if it doesn't strike these companies as a cause for alarm; and if what has happened is legal, then that might be the very reason that Facebook's users - all two billion of them - should be worried. Facebook has grown dizzyingly rich by operating what is in effect a mass surveillance tool. Most users have no idea just how much social media companies know about them. The business model that has made Facebook very rich is based on the quality of that data. Facebook uses that data to sell your attention to advertisers. Advertisers use smart messaging to influence behaviour, and try to get us to buy their products. As Hugo Rifkind wrote in The Times, what has happened now is that Facebook, the biggest and most powerful social media platform, has gone from selling mere products to selling politics, too. Political operatives, whether they be from democracies or not, also want to use smart messaging to influence behaviour, in order to get us to vote for a particular candidate, or to undermine a consensus and degrade the truth. A smart corporate response from Facebook would grant that the remarkable innovations and technology that have created its news feed, an often addictive and for now free product, are now being exploited for goals that are not always socially desirable. Instead the company's instinct was to alight on a technicality, and say this was no data breach, despite the fact that it suspended the accounts of Cambridge Analytica and its whistleblower, Chris Wylie. Now at last the company is stepping into gear, calling a meeting of all staff to address concerns and answer questions. Several different investigations on both sides of the Atlantic are now underway. Mark Zuckerberg may not want to appear before the DCMS Select Committee, but he will have to make a public pronouncement soon enough. Blog posts alone won't do. It must never be forgotten that, with all the zeal that has become customary in the world of superstar tech firms, Facebook executives talk about their company in missionary terms. We're on a mission, they say, to make the world more open and connected. There is a tension, then, between the liberal inclinations of some Facebook staff - though of course the company as a whole is politically neutral - and the fact that a British company on whose board Steve Bannon sits may have used the platform to help President Trump gain office. Of course, Cambridge Analytica's power could be wildly over-stated, and we don't yet know sufficient detail on Russian misbehaviour on the platform. There is a tension between the globalist outlook of a company that hires supremely clever graduates from around the world, and the more nationalist tendencies of the current White House administration. And there is a tension between the self-declared mission to champion openness, and the fact that Mark Zuckerberg, for reasons still unclear, seemed to be unavailable for comment as lawmakers demanded to hear from him. At some point, these tensions become unbearable. A month ago, I said Facebook may have peaked, in influence if not in wealth. I wonder if Alex Stamos's departure will persuade some staff there of this thesis.